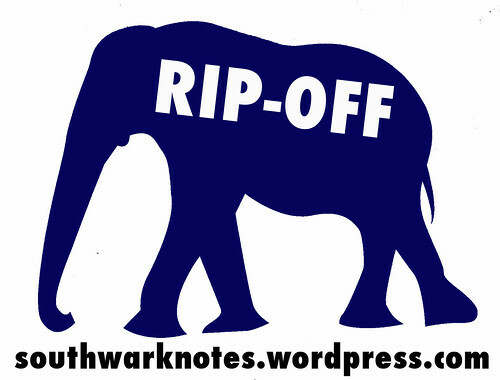 Rip-Off | Southwark Notes - whose regeneration? 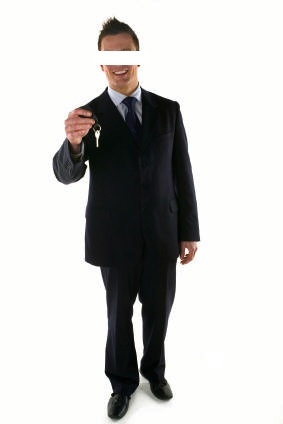 As you probably know Section 106 (S106) agreements are more commonly known as ‘planning gain’ or ‘community benefits’. An S106 agreement between a developer and a Council usually acts as some kind of payback from the profits the developer will make on their new building towards local good. Examples from a S106 agreement could be that money is negotiated for the renovation of a local children’s playground or that monies are given over to the funding of a community health centre or that cash is given up to supplement the construction of ‘affordable’ housing units. 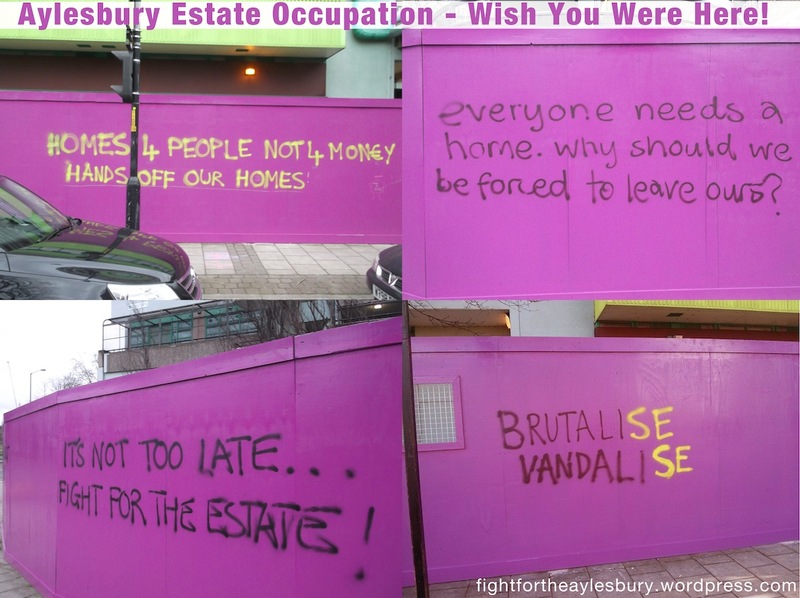 In this instance, the Strata developers Brookfield Multiplex, as part of their S106 Agreement with the Council, had gone down the well-trodden ‘Public Art as Community Benefit garden path’ and promised to us locals that £100,000 pounds of their profits would bring us some culture. Now, Southwark Notes loves as much Public Art as the next person (see here for our appreciation) but we immediately sniffed out that there was something well iffy about this one! 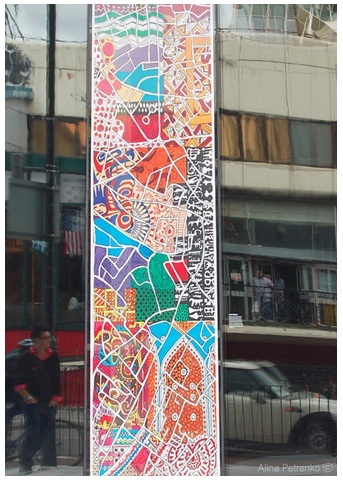 First and foremost there is the question of what is public art and what isn’t? The original intention of Brookfield was to install something arty ‘within the entrance area of the Development predominantly of glass‘. Something sculptural made of glass put in the actual public realm of The Elephant isn’t going to last the half hour so we can only read this line as meaning spending £100,000 on a fancy glass thing in the foyer of your building. That’s having your glass cake and eating it. In the end, the fabled thing ‘predominantly of glass‘ bit the dust and by 2010, the Public Art had turned into a much more slippery and dubious affair. 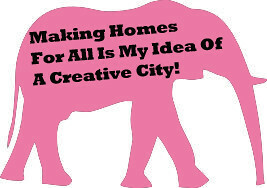 With some fanfare typical of developers, by April 2010, the Public Art had mutated into a whole new bag of tricks. 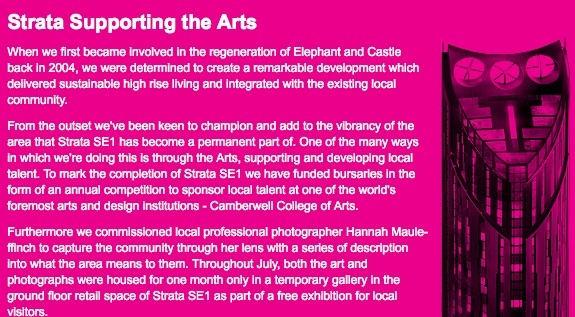 With the intention of adding the usual ‘vibrancy‘ to the local area and ‘support and developing local talent‘, Brookfield announced that the public art at Strata would now come from a competition held amongst students at Camberwell College of Art. 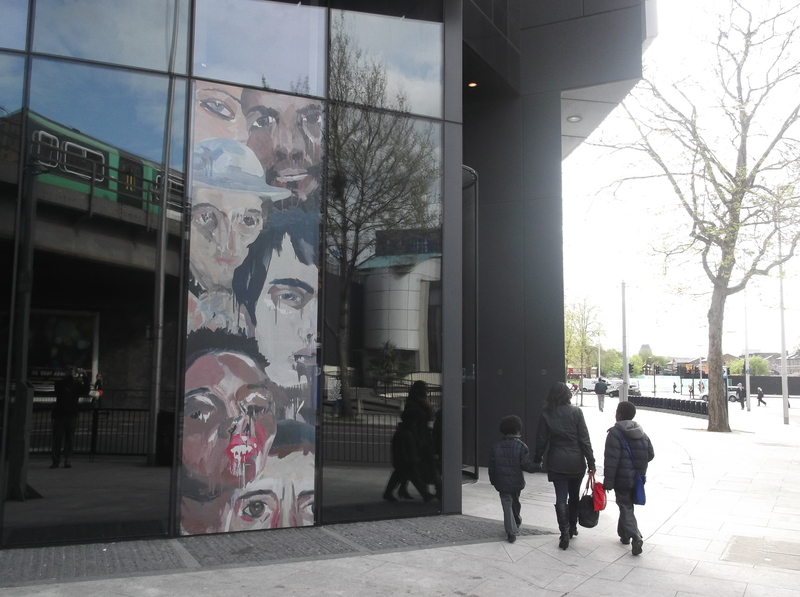 They announced that the art would now be fixed up on ‘either side of the main entrance doors to Strata‘ and that the art would be housed on ‘two large glass panels enclosing the foyer area‘. Such art would be ‘integral to the development but accessible to the public eye at all times‘ as ‘these panels formed the ideal palette for the Public Art‘. Essentially this is another version of the ‘predominantly‘ glass thing that never was. Southwark Notes would argue that any art ‘integral‘ to the development i.e constructed as part of the entrance is not a genuinely public piece of art regardless of whether it can be seen by the public. We would call that a design feature of Strata that benefits residents and potential buyers of the flats. 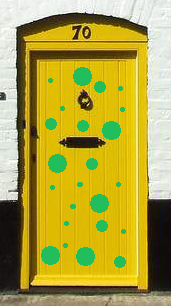 If everyone at Southwark Notes painted their front door’s green with yellow spots, we would not argue that this was done for the public benefit. Any public enjoyment of our yellow spots is purely secondary. WHOSE S106 MONEY IS IT ANYWAY? 36 Camberwell students submitted works to the competition on the theme of what Brookfield told us was ‘’community and sustainable leaving’. 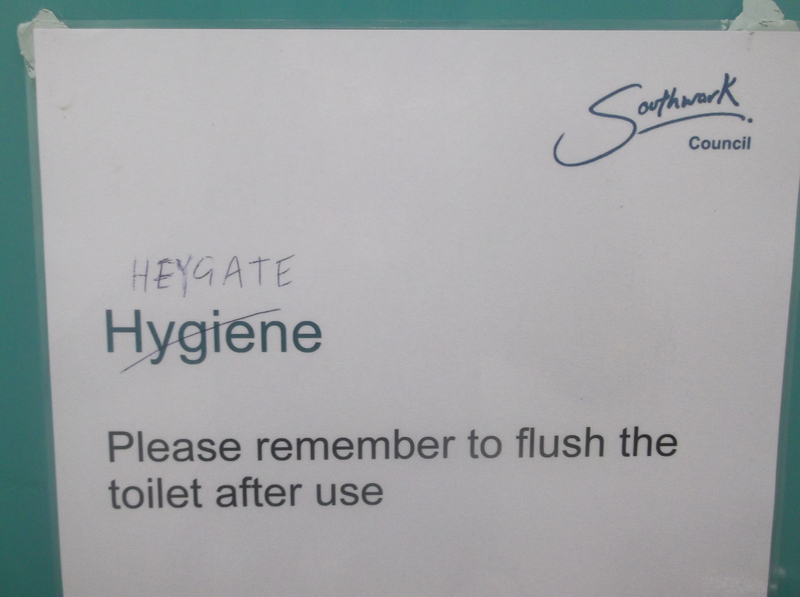 Surely a Freudian slip if ever there was one! On 19 May 2010, ‘a panel of four judges shortlisted 13 pieces as finalists to be created and then the finished artworks were judged and on 24 June 2010 six bursaries were awarded to the winning students‘. 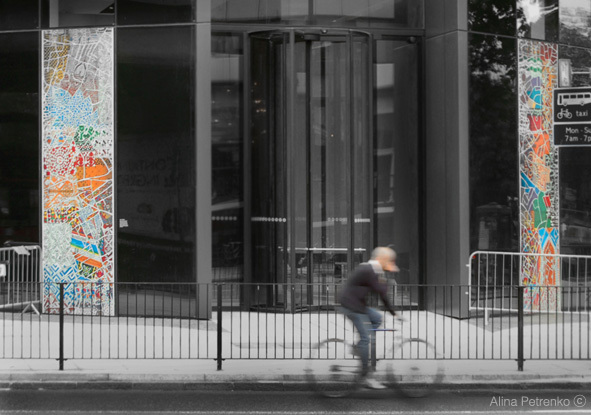 Over the course of the next year, four artworks were displayed on the glass panels on either side of the entrance foyer. 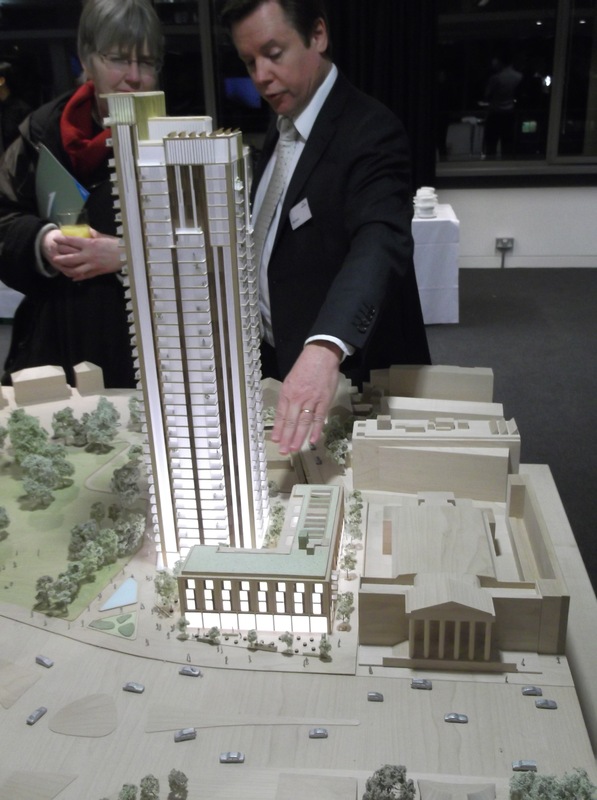 On July 1st 2010, at the official launch of Strata Tower as an investment and housing option, all the finalist works were exhibited in the empty commercial space at Strata ground floor. Brookfield reported that ‘all finalists’ work…was then auctioned. 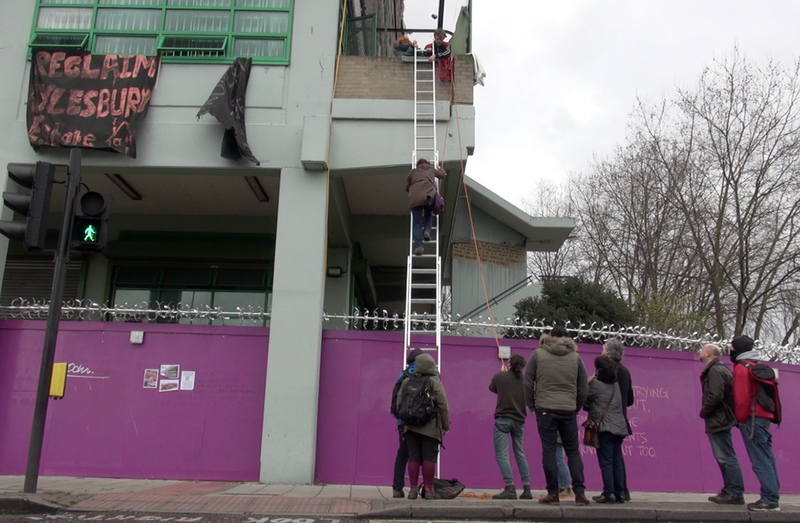 All monies raised from the action went back to the community and the Camberwell College of Arts‘. Here and subsequently as you will see, it has not been possible to find out how and also how much money went back into the community. 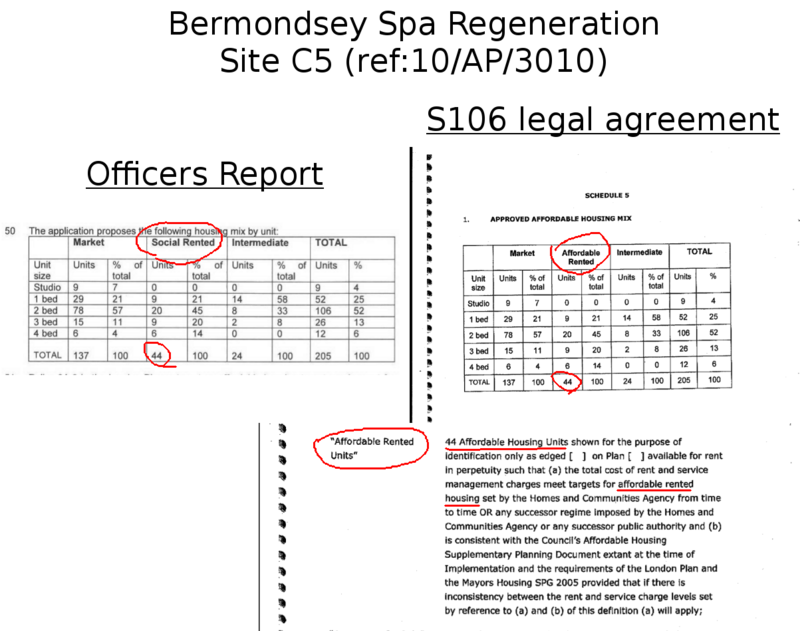 Curious as we were with this strange tale, we decided to submit a Freedom of Information Request (FOI) to Southwark Council to ask them details of how £100,000 of S106 money negiotiated for local benefit was spent. We couldn’t see how four panels displayed throughout one year could add up to such a large figure. We were also concerned that the public art was not really public at all. “Can the Council show a breakdown of total expenditure so far for the Strata Tower S106 contribution of £100,000 towards a public art commission“. 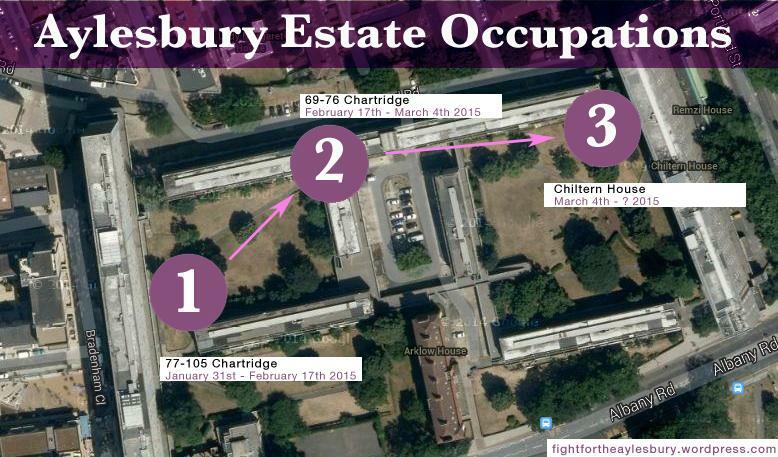 On March 20th 2012 we received a detailed reply that told us that ‘The Council can confirm that Clause 8.1 of the section 106 agreement has now been fully complied with“. The Council reckoned that the ‘set up cost and judging panel for this public art programme included bursaries; artwork reproduction; exhibition set up cost and consultant fees‘ added up to £100,000 well spent. The Council even stated that ‘the installation costs, the public art programme and the value of the artwork itself together can be attributed a value which is in excess of the £100.000 required by the S106 agreement‘. Firstly we wondered whether the undefinable value of an artwork can be considered as part of a financial contribution to the local community. We also thought that it didn’t sound like £100,000 had been spent for the local community. As S106 is serious financial agreement between parties, we wrote again asking that the Council provides a breakdown of expenditure for this S106 contribution. We wanted figures for how much each bursary was, how much consultants were paid, costs of installation and production of artworks etc. To try and cut a very long story short, we wrote again for this expenditure on March 8th 2o12. The Council said they didn’t have the information and maybe DP9 had it. DP9 is a partner planning consultant on Strata development. We asked for names at DP9 to write to but got no reply. By May 2012, we requested an Internal Review on this matter as no further information on the expenditure had come our way from The Council. We wrote that the request for an “internal review is based upon asking whether the Council, after securing £100,000 Section 6 money for public art, is able to then account for the expenditure of this money“. 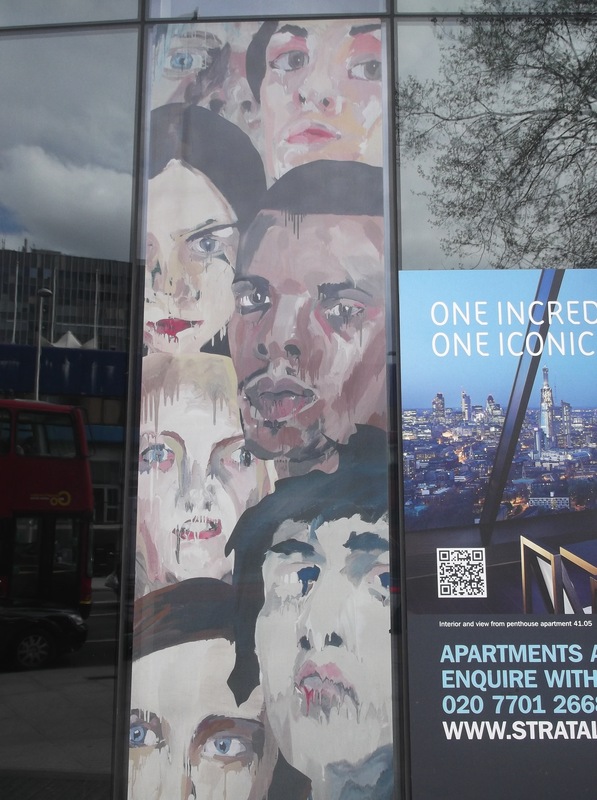 In June 2012, the Council assured us that ‘this obligation was monitored in the same way it would be for any other non-payment s106 obligation and is satisfied the obligation in the provision of the public art worth £100,000 has been provided. We have requested further information from the development and will pass that on in due course‘. Nothing was heard so in August 2012, we requested another Internal Review. ‘with regard to the process for confirming the S106 condition for public art at the Strata Tower, I can confirm that upon investigation the confirmation of the fulfilled condition was undertaken by the then S106 officer. This process involved receiving confirmation from the developer that the funds had been transferred together with confirmation from the college that the funds had been received. The college also confirmed how the funds were spent, which was provided in the original response to your request. 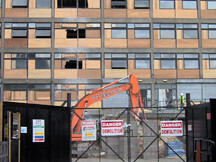 The council confirms that in this instance a site visit from an officer did not take place and on reflection, a site visit should have been conducted, but due to resource constraints and the fact both the college and developer confirmed the fulfilment of this obligation, the council was satisfied that this met the condition as set out in the S106 agreement‘. We can summarise this as Council S106 Officer asks developer if they done what they supposed to do and developer says ‘Hell yeah!‘. 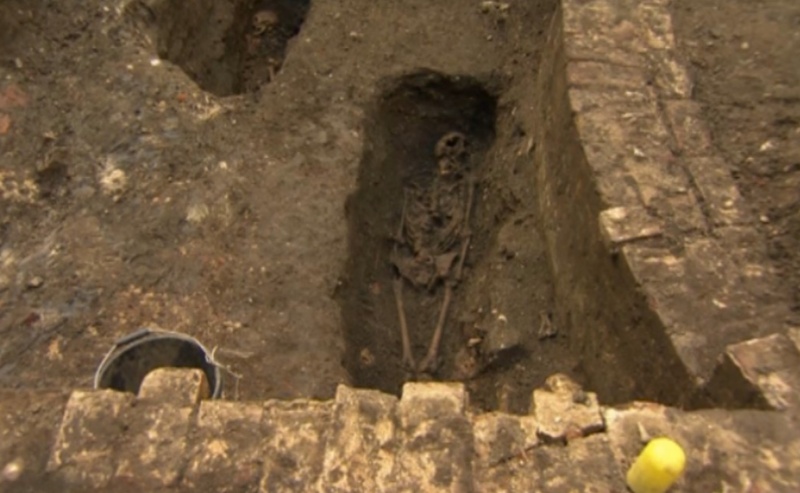 Council Officer says ‘should do a site visit but couldn’t be bothered‘. Council says ‘yeah, we should have done a site visit but we didn’t‘. In light of this fact, the Council says “In order to complete the council records in relation to this agreement, I can confirm that the S106 manager is still seeking this information” which seems like an admission that some major slackness is taking place. In March 2013, we took the next step after the failure to gain an Internal Review and wrote about this case to the Information Commissioner’s Office, the folks who are ‘the UK’s independent authority set up to uphold information rights in the public interest, promoting openness by public bodies and data privacy for individuals‘. ‘I can confirm the council conducted a search of its records at the time of the first request and established that a full breakdown of the information was not held by the council…As a final response, the council is able to confirm we do not hold a breakdown of the information that has been requested and all information held in relation to this request has now been provided’. Which is a brilliant way of saying ‘we have supplied you with the information that we do not have’! Thank you for the update and the letter from DP9 both of which confirm that the Council does not know how £100,000 of Section 106 money was spent. 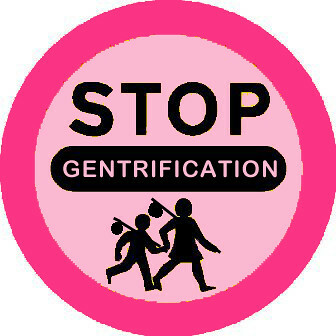 As S106 monies are negotiated by councils from developers profits to be used to benefit the local community, it is vital that such money can be accounted for if local people are to have any trust that the council is looking after their interest”. IF WE GAVE YOU £100,00, WOULD YOU KEEP AN EYE ON IT? As we write this, the overall winner of the competition Julie Bennett still has her panel displayed at the front of the Strata Tower despite her expectation that it would be displayed only ‘until 30th June 2011‘. We found out that the bursaries to the four winning students were only £1000 quid each. Here, as we scratch our weary heads, we can’t see that this is a genuinely spent £100,000 of community benefit! We also wonder if the publicised Brookfield Trust that the developer was to set up at Camberwell from money raised at the Strate Official Launch auction to provide more bursaries ever materialised. We were certainly unable to see this in action when we asked and searched around. 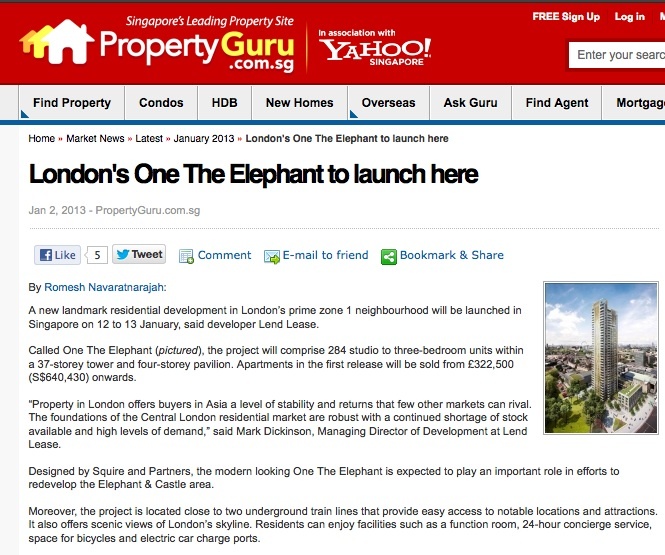 The website Stratalondonart.com which featured this claim and all the winning designs and promotional guff for Brookfield’s heavy interest in art was only online for one year from June 2010 to Sept 2011 before getting the boot. 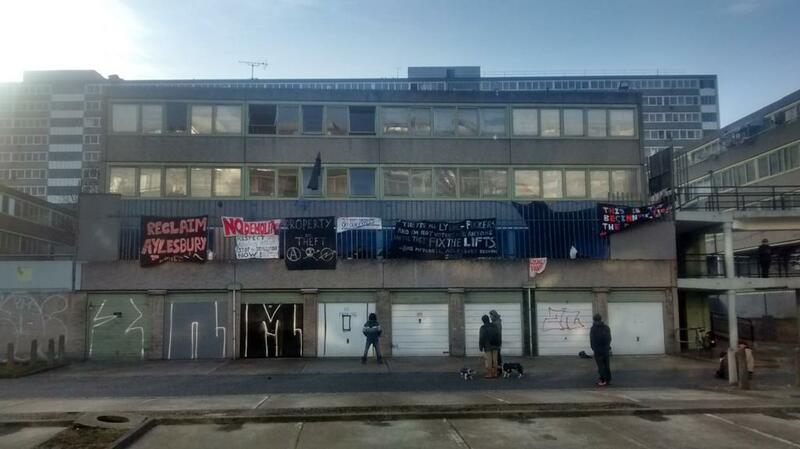 We also question the dubious practice of getting students involved in the dodgy regeneration practice of designing decorative panels that act as an asset to developments whilst pretending to be pieces of public art. The whole sorry saga can be found here in the form of letters from us to the Council and the letters from the Council to us. 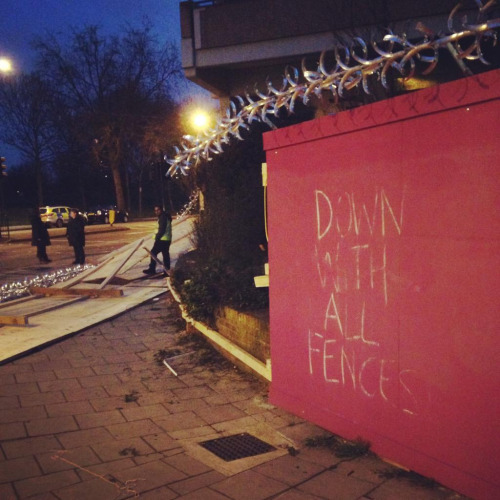 Leader of the Council, Peter John tweeted during the protest at the Planning Meeting on Tuesday that there was an ‘Unnecessary hiatus in meeting as protesters not from E&C cause disruption – protesters entry requested by Simon Hughes!‘. Was Peter implying that no-one locally could possibly want to have any objections that they may wish to present in a more interesting and critical manner than in the useless 5 minutes of objection time allowed? 2) Attempting to discredit the local silent protest by saying categorically that they are outsiders is one of the oldest and slimiest political tricks in the book. 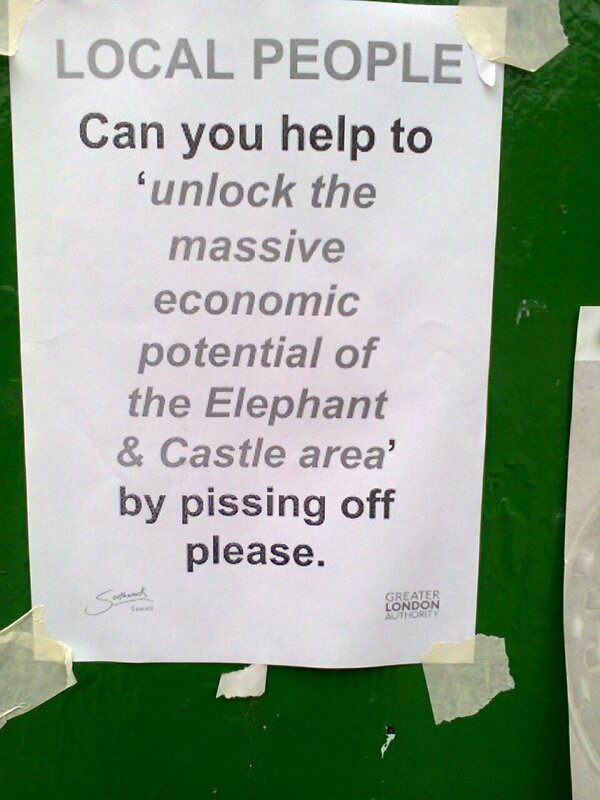 So well done Peter for pulling this one on Southwark residents. Needless to say we also have to ask if there is an exclusion zone in Peter’s mind when it comes to who has a right to object and protest anything that concerns The Elephant. 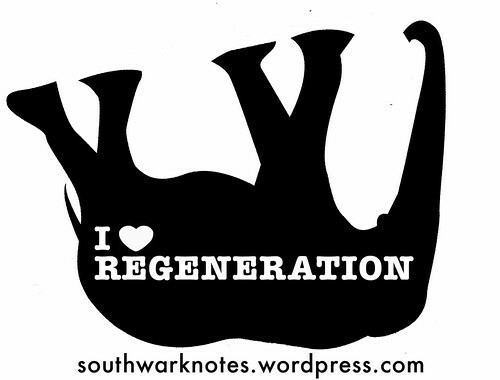 Not only does the regeneration of The Elephant affect local people but it also affects those in Blackfriars, Bermondsey, Walworth, Peckham. Development and planning is not separate. It is intimately connected and he knows it. By this logic we should be demanding that no-one who doesn’t live in the area should have anything to do with regenerating it. Where does Peter John live by the way? 3) He then also has the cheek to play the party politics card and blame Simon Hughes for getting them in. In reality, Simon Hughes was about to walk through the line of security and into the meeting when the excluded crowd said something akin to ‘well, if he’s going in then so are we‘. 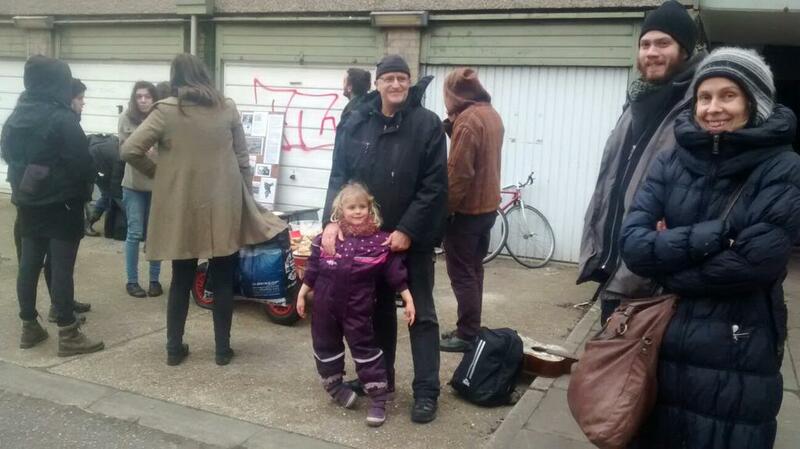 This was enough the make Hughes stop in his tracks, probably not happy to be seen leading a rabble of local folks in, and turn to talk to those people outside, something that Peter John would never do. 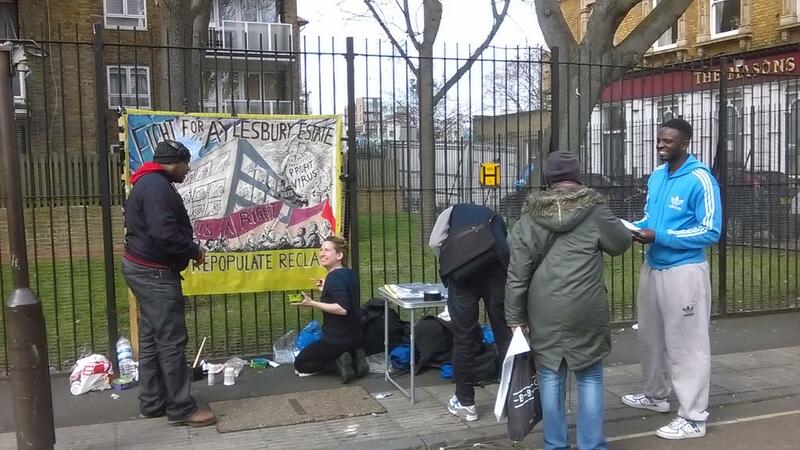 This was then how Simon Hughes decided to ask that these people could come in. To us it matters more not what Simon Hughes had in mind getting people in but more so that Peter John was obviously happy to just leave the public outside the meeting. 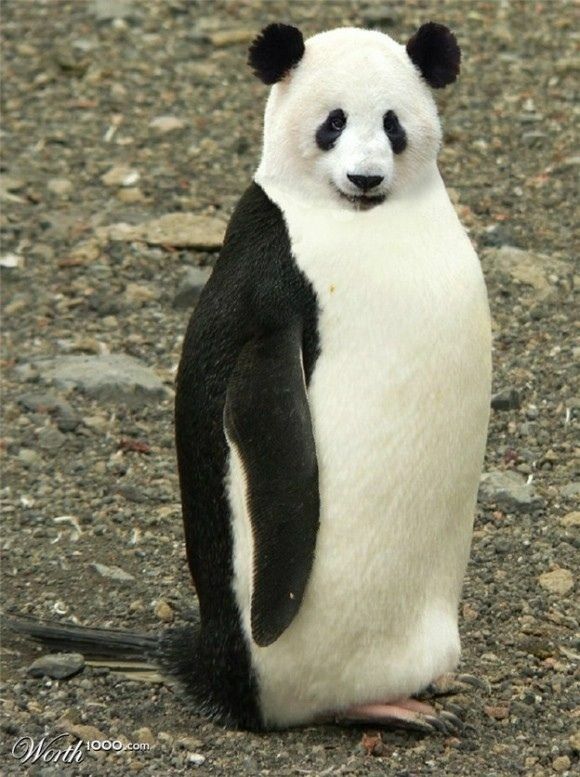 All Hail All Powerful, All Knowing Leader of The Council! We seriously haven’t recovered yet from our attendance at last night’s monster six hour pantomime playing at the Tooley St Theatre where the show was all about whether a large unaccountable development company (Lend Lease) could link up with a smaller unaccountable local council (Southwark) and do dastardly business together. The audience were played by local people who think these ugly sisters of business and wannabe politicians are about to re-stage the Kings New Clothes down at The Elephant. Any road up, here is a quick report. We will come back to the details at a later date. 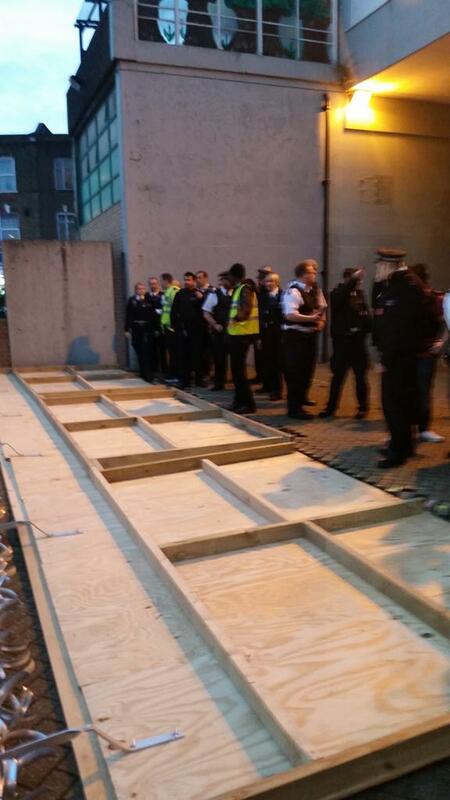 • 50 members of the public were excluded from a public meeting that affects their area. 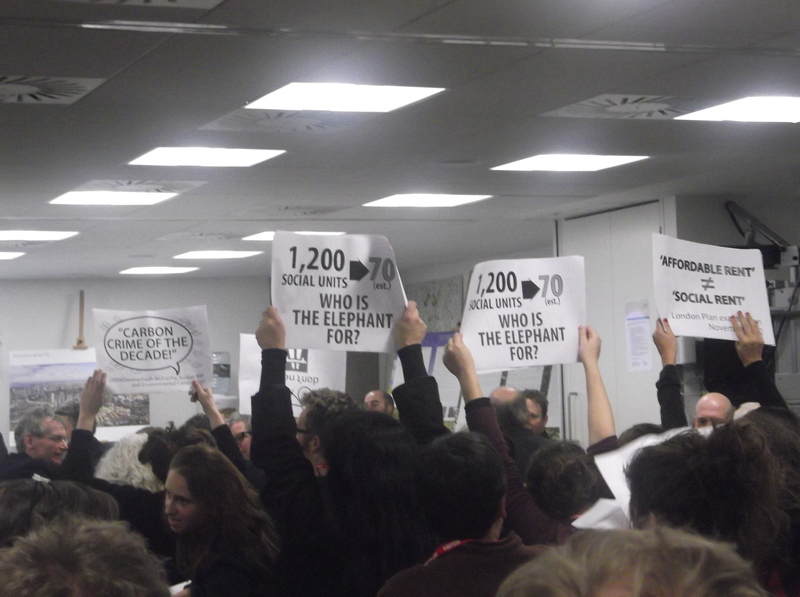 The Council didn’t have a room big enough at Tooley St offices to hold all those who wanted to sit through the pantomime so it kept a whole bunch of folks outside until half way thorough when enough people had left to accommodate 20 of them. 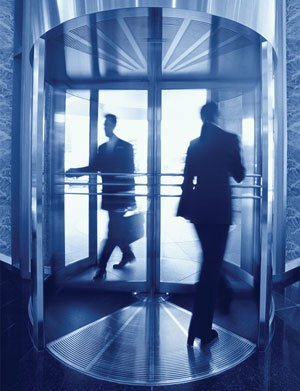 The police and security kept the door between the lobby and the meeting room secure. At one point in the break, they even started off not letting anyone from the hearing going into where the excluded folks were but relented after some argument. Of course, the Council was uninterested in holding the meeting in a place that was actually big enough despite their being over 200 objections received. 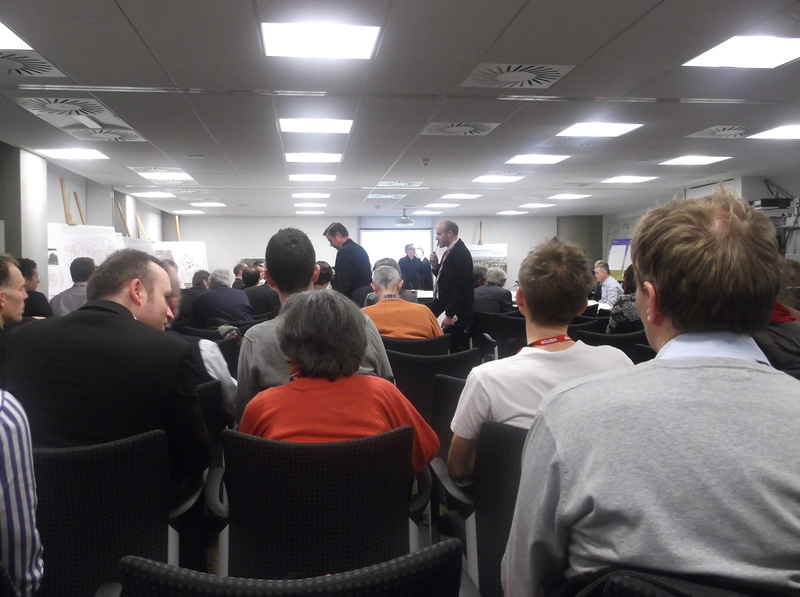 Of 102 possible seats, many were taken up by Lend Lease, Soundings (Consultation cronies) and council folks. A bigger room is a no brainer if you actually give a toss! 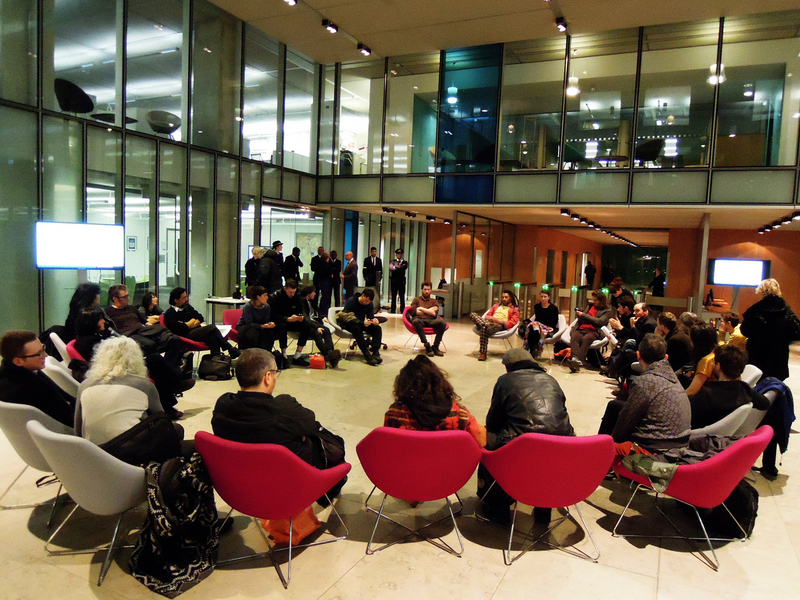 • About 30 of the excluded people decided to hold their own fantastic objectors meeting outside in the lobby to discuss why they were there and their own concerns. We thought that was a brilliant idea instead of just giving up and going home. • This is what the meeting looked like. A bright and airless room where we sat for 6 hours listening to one hour of brilliant focused, precise and wise objections to the Council’s willful overlooking of a Masterplan that breaches it’s own policies in numerous topics – affordable housing, car parking, sustainability, health and education and over-12 play provision and so on. And then 5 hours more of silence from any Labour Councillors to actually have any single criticism of the Masterplan and sometimes good and sometimes rather tired questioning from the Lib-Dems on the Planning Committee. All the Councillors had received detailed objections from tons of people as emails and papers and these were also all in the large 197 page Planning Committee document that each of them had. Yet they were unable to really get to grips with both the nuances and precise content of those objections. At the start we were informed that the meeting was ‘not party political‘ as if having 4 Labour councillors and 3 Lib-Dems was going to make no difference at all to the final vote. • We also heard over an hour of Lend Lease corporate waffle and nonsense. One example among the many that we are afraid to unleash to those who weren’t there: When asked whether new more chain shops might be seen as a dangerous competition to long established local traders, one Lend Lease word magician replied that he ‘didn’t like to think of it as competition but as more like opportunity‘. Of course destroying local shopping is also contrary to the new 2012 National Planning Policy Framework that seeks for council to ‘ensure the vitality of town centres‘ i.e don’t make everywhere chain retail hell. 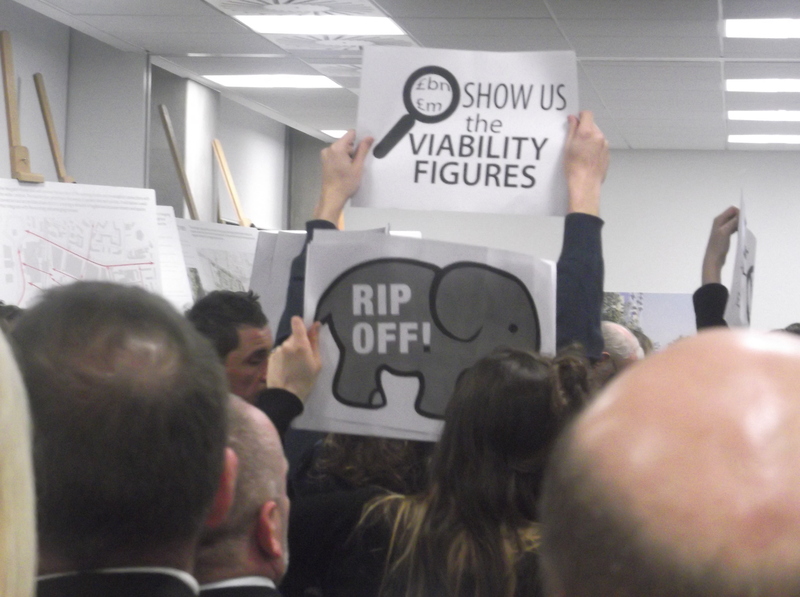 During Lend Lease’s questioning by the Council (akin to being ‘savaged by a dead sheep‘ as the saying goes) local people held up signs in silence to highlight key objections to the Masterplan. The Chair for the night Labour Councilor Nick Dolezal, who we found rather showy and cartoonish, freaked out and threatened the protestors with removal even though when security came they were decidedly reluctant to begin grabbing anyone. (Dolezal later publicly described them as ‘our little pixies‘!). Another threat to remove everyone bar the Council, the developers and the objectors who had spoken was also aired was similarly ignored because how can you seriously bar the public from a public meeting. The silent protest was only meant to highlight the farce in progress anyhow and not to prevent anyone from hearing the rest of what was said. After twenty interesting minutes of Dolezal overreaction, the posters were lowered so that the show could go on. 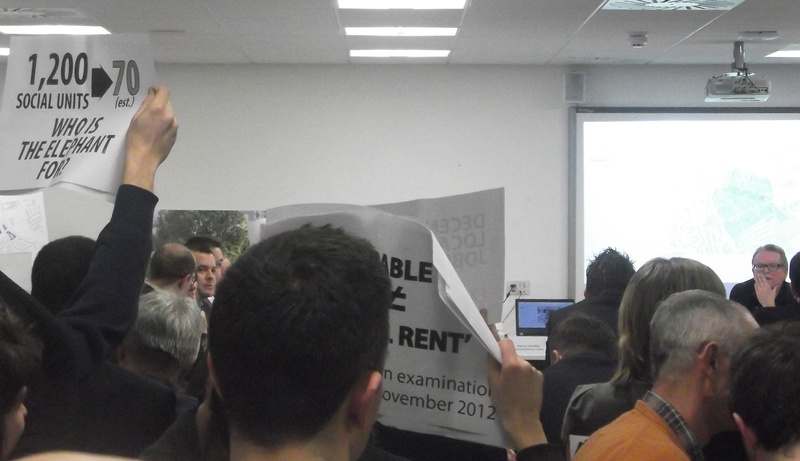 At point, a protestor offered the boyish Leader of the Council Peter John some posters which he took and enthusiastically threw to the floor. ‘Peter, not down there! You’re supposed to hold them up!’, was the poster givers reply. Made us laugh anyhow! There was a telling moment near the end when the procedure requires ‘one representative for any supporters who live within 100 metres of the developement site‘ to come and testify their support. No one in the room rose to take up that role! To cut a long story short, there was no surprise when the 2 Lib-Dems voted against (because it wasn’t their party in power but they would have done the same as Labour did last night if they were) and 4 Labour votes for the scheme. There was one totally pointless abstention from a most bizarre Lib-Dem councillor (who used to be a Tory councillor) from Dulwich. At telling moment came about 20 minutes before the vote when Dolezal was rushing to finish and in a moment of pushing things along, he said ‘Oh, I’m getting serious now‘ to which we would add: Well, it is probably a serious business, no? You wouldn’t think so given Dolezal’s constant gum-chewing, jokes and lack of impartiality. 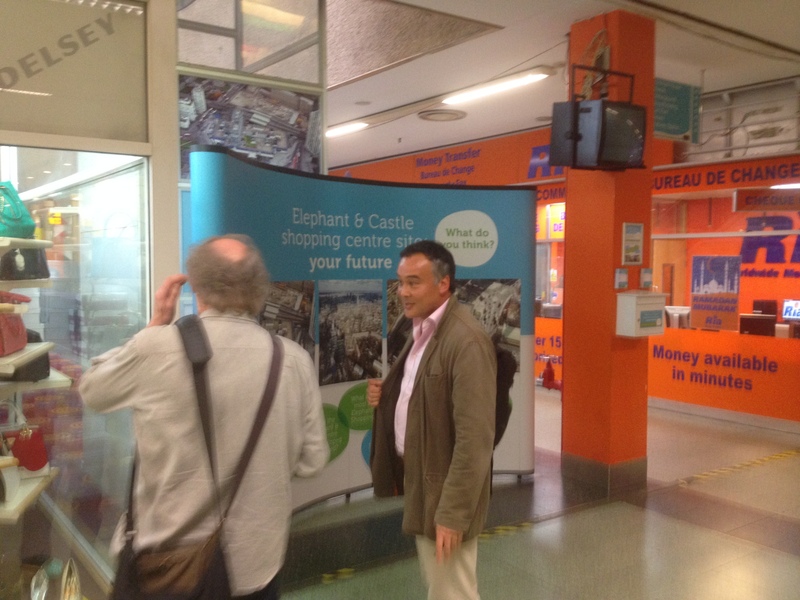 To give you a clue as to how The Elephant was sold last night we will highlight the fact that when Lend Lease were questioned on whether they will receive the freehold of the Heygate Estate land, Dolezal ruled that this question had no bearing on the planning permission. It’s a bloody good question though! 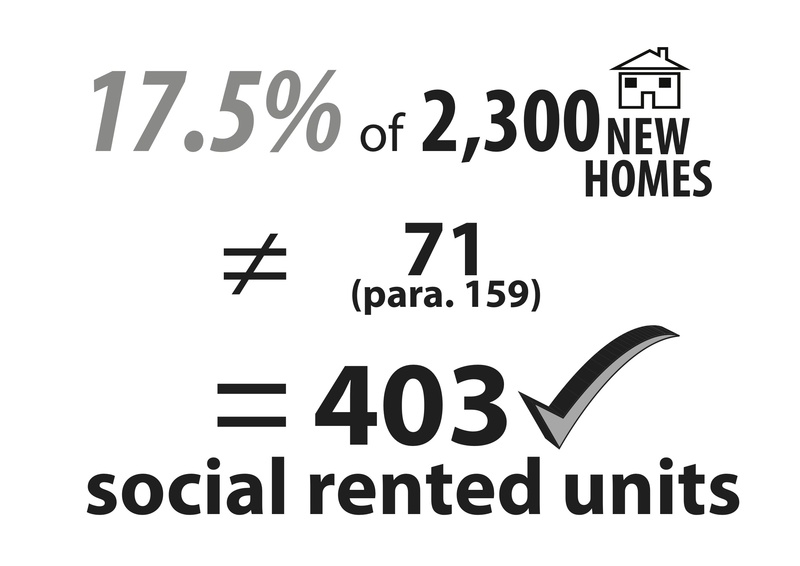 When you consider that the whole scheme delivers only 71 truly affordable socially rented units to replace the 1100+ council tenancies that made up Heygate and the rest of the ‘guaranteed‘ 25% of affordable homes are of such a tenure type* that they are actually extremely unaffordable for local people and also many Londoners, you might start to wonder how it is that this scheme can be granted approval. 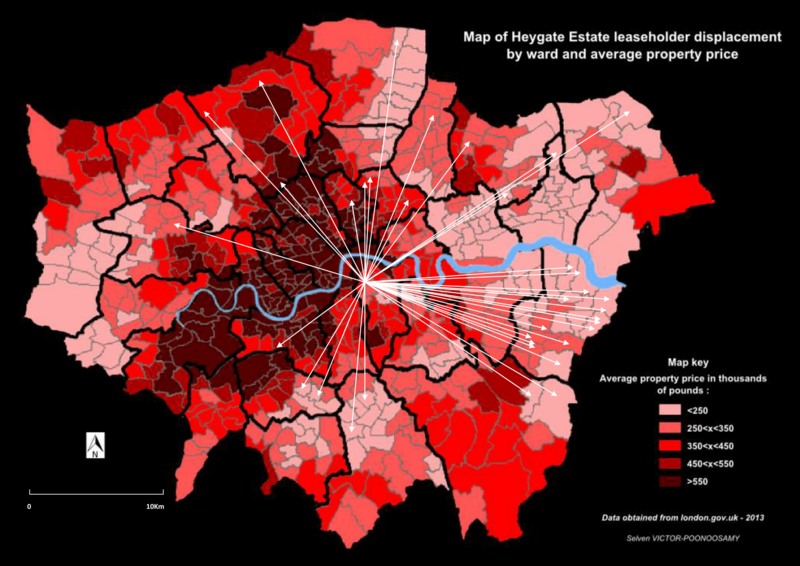 When you consider that Lend Lease reckons that the scheme is barely viable at approx 10% affordable housing but are committed to 25%, and that no-one is allowed to actually look at the figures because they are commercially sensitive, you might wonder if a load of porkies is being told. Would they really commit to something so obviously risky? 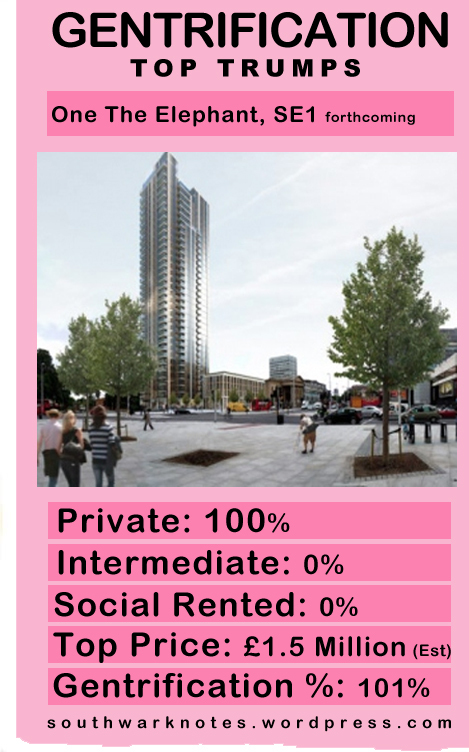 When you consider all this, the question of whether Southwark will give Lend Lease the freehold to this currently publicly-owned land is a good and pertinent one. 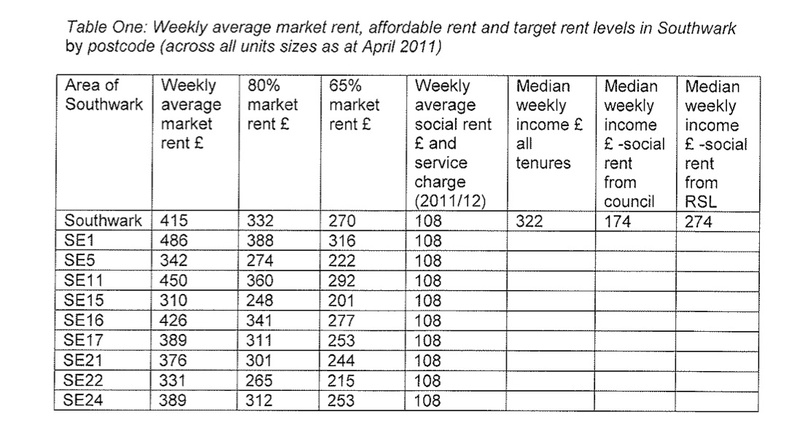 (* In addition to the 71 target rent places (socially-rented) there will be a further 194 ‘Affordable Rent’ places, these rents being set at a rate of 50% of the private market rental rate locally. i.e not affordable to many. 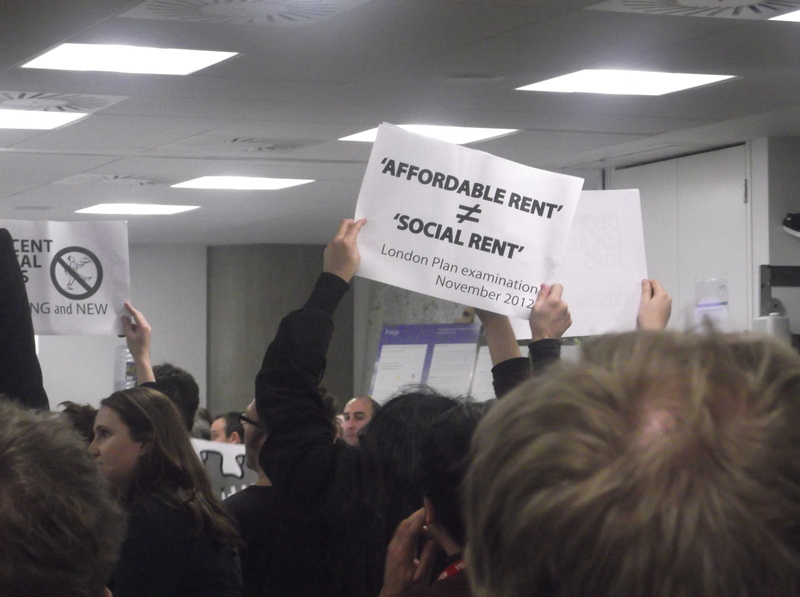 And this despite Southwark’s own 2011 objections to the concept of ‘Affordable Rent’ and the 2012 London Plan’s examination criticisms). 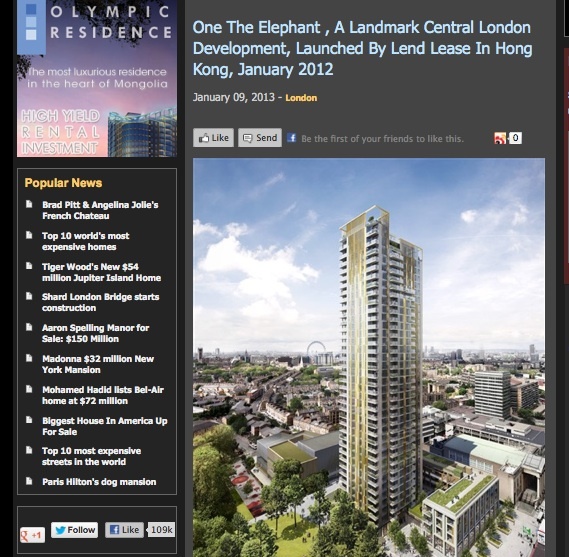 Anyhow, we have on tape Lend Lease’s absolute commitment to seeing this project through. So of they ever wangle out of it over the next 16 years, we will find them and subject them to a merciless replaying of this promise. Oh, by the way, we would really be fools if we actually believed their promises. Like the Council, promises are made to be broken and to be forgotten.It is a rule at these meetings that no photography or sound / video recordings must be made and so with no actual official record of last night’s proceedings being made for public scrutiny, all of Lend Lease’s promises remain words in a room in a particular moment in time. Happily, to keep an important unofficial record, there were camera’s-a-g0-go (as you can see) recording the proceedings and at least two people in the audience taped the whole thing. 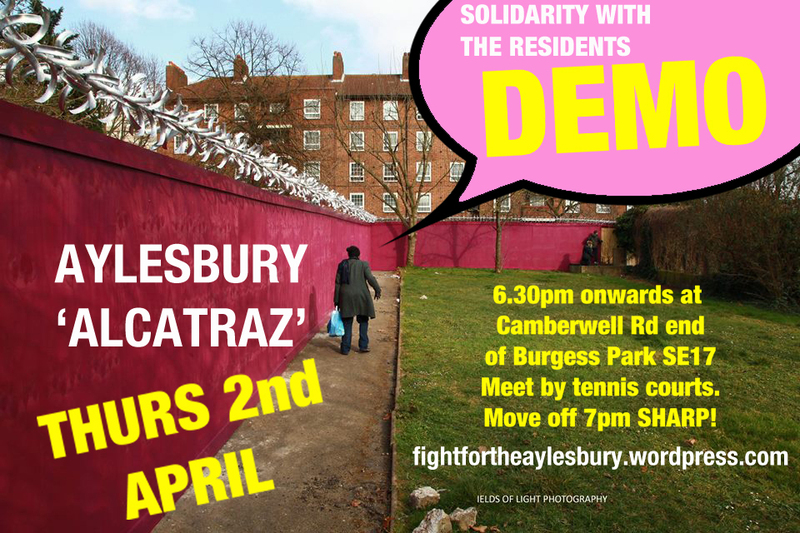 There was many a moment like this: When asked about interim uses on the Heygate site before the new houses are built and whether it would get in touch with Celia from Victory Park who had initiated a tree nursery with local school children in the Heygate Rose Garden*. They said ‘Yes, they would‘. It was common for them to nod and solemnly say ‘Yes, they would‘ to remaining open to alleviating many concerns that were raised. But with no minutes or record, who is there to keep them to their easy words? 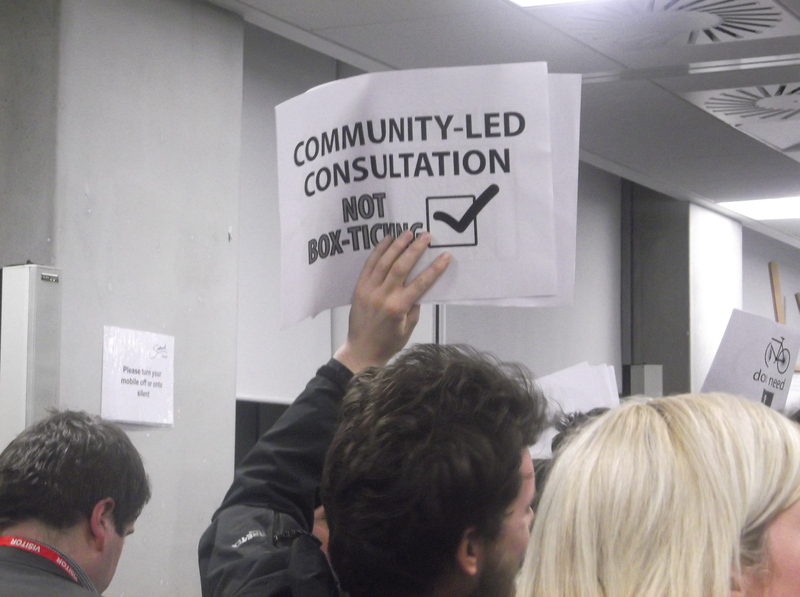 We will say it again: Southwark has no interest in hearing objections, useful criticism or local wisdom. It has no interest in even pretending (like Lend Lease) that it’s consultation is meaningful to any planning inquiry. It is wholly unaccountable to it’s voters. It is a total joke for anyone who cares passionately ebnough to engage in local politics through this kind of framework. This way of working is flawed. It simply cannot work to the benefit of local people. We spent years in consultation with these people, taking it seriously and giving up our knowledge and passions for free but we have not seen one single thing barring a few saved trees taken seriously or put into the Masterplan. 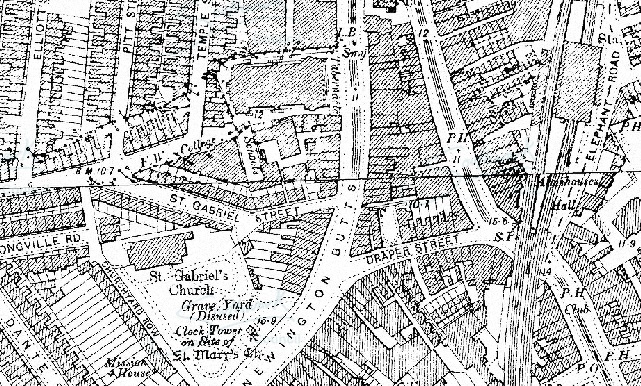 The Masterplan remains a totally blatant and greedy land grab at the expense of local people. 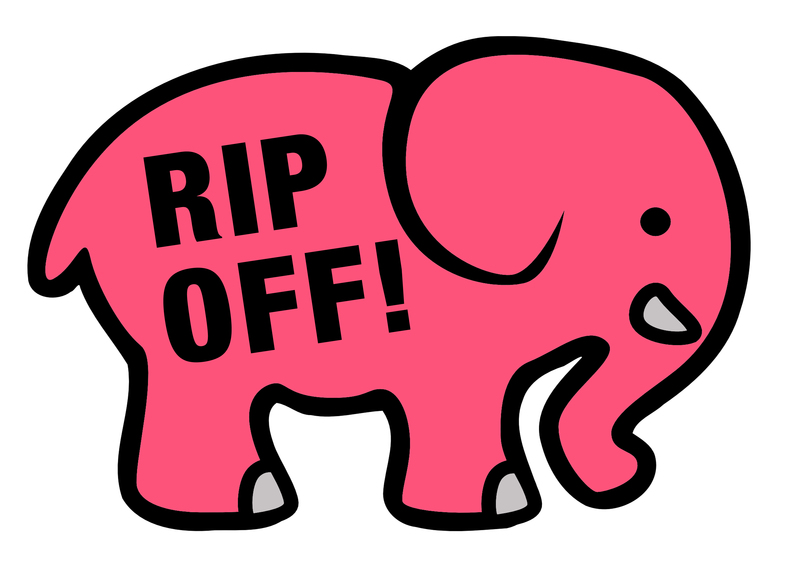 After attending Lend Lease’s One The Elephant luxury flats ‘community preview‘ last week and last night’s farce, we were starting to get resigned to all this, to start to think it’s all over or that there is no alternative to the private investment model of housing and regeneration. It was a tough week. But there is another way and we need to find it. We will continue doing what we do and we invite you, as always, to join us in that work. PURE PARTY POLITICAL PLANNING PERMISSION PANTOMIME. PAH!